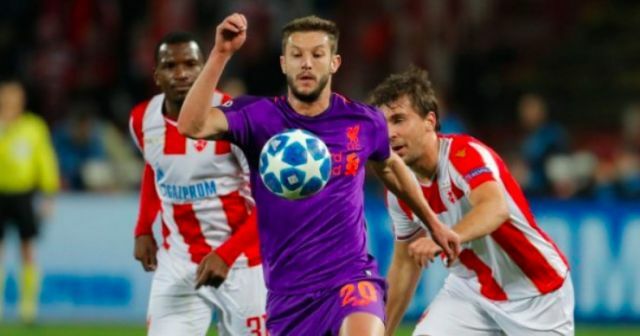 No Liverpool players covered themselves in glory last night against Red Star. Thanks to the draw between Napoli and PSG, we’re still in a decent position to qualify – with a two-goal win over the Italians at Anfield securing our passage – regardless of our result in France. But we’ve made it hard for ourselves – with a few players especially abysmal in Serbia. Adam Lallana completed just 23 passes at a success rate of 65%. Trent Alexander-Arnold made 20 passes, completing 60% of them. Those figures against a side that we’d suggest are effectively Championship standard, are incredibly poor. We don’t think either Trent or Lallana should keep their spots in the side for the clash against Fulham at the weekend. Joe Gomez can play at right-back, with Dejan Lovren or Joel Matip partnering Virgil van Dijk at the back. Xherdan Shaqiri should 100% replace Adam Lallana in the free, creative midfield role. At the moment, he’s simply a much better player and our attackers will benefit from his presence.